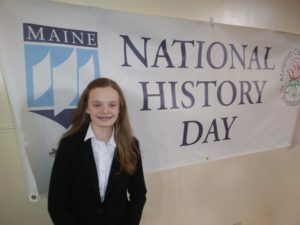 Students at William S. Cohen participated in the Northern Regional National History Day competition at John Bapst High School this month. 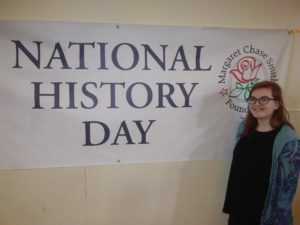 This year’s topic theme was Triumph and Tragedy in History. The student’s projects required a great deal of research, reading, writing, higher-order thinking, organization, and creativity. 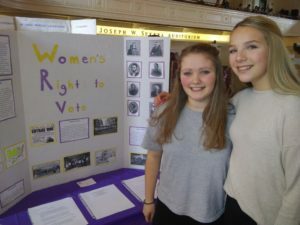 Projects in both individual and group categories included research papers, poster-board exhibits, websites, documentary films, and dramatic performances. 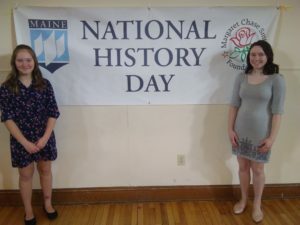 Seven Cohen participants earned finalist ribbons and will be moving on to the state-level competition at the University of Maine on April 27th. Congratulations to all students for their participation and hard work! April Activities Calendar! Please call the school office at 941-6230 with any questions. Informational meetings for Baseball, Softball and Track & Field will take place Monday, March 25 at 2:45 p.m. The William S. Cohen School Band will perform at Bangor High School’s Peakes Auditorium on Tuesday, March 12 at 7:00 p.m. Please join us for this wonderful concert! William S. Cohen will host it’s annual Showcase tonight from 6:00 – 7:00 p.m. We look forward to seeing you tonight. 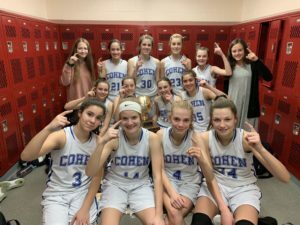 Congratulations to the A Girls Basketball team for winning the Eastern Maine Middle School League Championship. The girls took home the gold ball by defeating Reeds Brook. The team finished the season with a perfect 17-0 record. Congratulations to all the players, team managers, and Coach Stanhope.